spindle holes in a higher price range, the construction of which are very good. Chucks are a major requirement of lathes and a good set of collet chucks will pay for themselves in handling round bar work, as they run true with no adjustment necessary as long as they are kept clean. Jaw chucks are necessary for work of such size or shape that it cannot be held in a collet chuck. These jaw chucks come in two, three or four-jaw models, either with concentric or with independently adjusted jaws. At least one four-jaw chuck of the independent jaw type should be on hand, to handle odd shaped work which must be centered. The two-jaw type of chuck is one that is seldom required by the gunsmith but he will find use for a good three-jaw chuck of the concentric type. A chuck, or rather a pair of them, which the gunsmith should make for himself is the barrel chuck. These are merely a shell of steel or cast iron, threaded to screw onto each end of the head spindle of the lathe. Through the body of these chucks, at right-angles to their bore, four set-screw holes are tapped, 90-degrees apart and headless set-screws of the socket type are used in each chuck. With these chucks in place on each end of the lathe spindle a barrel may be centered by the set-screws for many operations on either end. A small and a large drill chuck mounted on taper shanks are necessary for using drills, taps, reamers, laps, etc., in the lathe. Protractor mounted on lathe spindle. fastened on a piece of round stock by a machine screw and held in a drill chuck on a taper shank in the lathe spindle. A pointer is fastened to the tail stock spindle so that it almost touches the face of this circular protractor, then the lathe spindle carrying the circular protractor is revolved to bring each division in turn to the pointer and a division is then marked on the beveled face of the protractor machined on the lathe spindle. This protractor will speed-up a job of facing back the shoulder of a barrel, as when the action is screwed up to the barrel shoulder you can see just what fraction of a complete turn, in degrees, it lacks to come to place and, knowing how many threads per inch the barrel has, this will tell you how many thousandths of an inch to face back the barrel shoulder to bring the barrel and receiver to their proper meeting place. The protractor can also be used to lay out reamer flutes, flutes in special taps or any other divisions on circular work. Micrometer carriage stop for lathe carriage. Uses a standard 1" micrometer head mounted in a shop-made clamp. 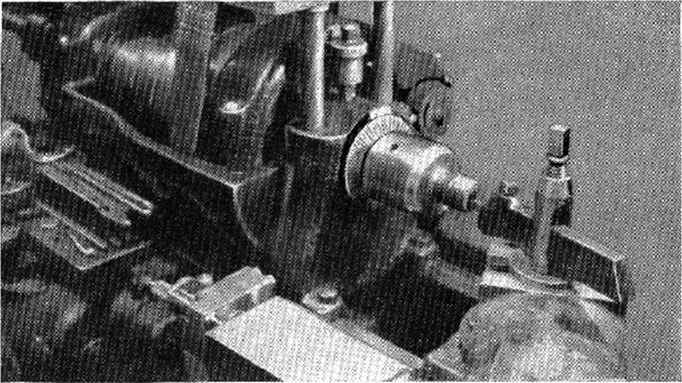 cast-iron, with a clamp screw so that it may be fastened to the lathe bed, and with a hole through it parallel to the bed in which a micrometer head can be fastened so that the end of the micrometer spindle comes against the end of the lathe carriage, so that it can measure the travel of the lathe carriage on the lathe bed in thousandths of an inch. These micrometer stops can be purchased from the lathe companies or a micrometer head can be bought for four or five dollars and fitted to a piece of metal cut to fit on the bed of the lathe. Making rim cut in chambcr end of barrel with lathe—using micrometer carriage stop for depth. In cutting this rim space in the chamber end of a barrel for a rim-type cartridge, the barrel is centered in the lathe chuck so that the bore or chambcr runs true. The cutting tool is then brought against the rear end of the barrel and the micrometer carriage slop is brought against the end of the lathe tool carriage and a reading taken from it. The micrometer carriage stop spindle is then backed off the required number of thousandths for the rim space and is locked. The rim space is then cut into the rear end of the barrel until the carriage comes against the micrometer stop. these female centers in the tail stock may be used as a ball-bearing center, to reduce friction, by inserting a single ball-bearing in it and bringing the center-hole of the work against the opposite side of the ball. This is especially useful in turning work with the tail stock set over to produce a taper. Female tall center for lathe. If possible the lathe should be equipped with a taper turning attachment, for it isn't always easy to set over a tail stock just the right amount nor is it easy to return it to its true center position. The taper attachment is graduated in degrees on one end and in inches on the other end, so it is easily and quickly put in the proper adjustment for the taper desired. A milling attachment is very desirable on a lathe, if a milling machine is not available. The type sold by the South Bend Lathe Co. is low in price and, with a few homemade attachments, can do a variety of work. A small set of index centers can be made, to be held in the vise of this milling attachment with the centers extending far enough out from the vise so that a reamer or tap can be held in them and fluted with a cutter on a taper arbor in the lathe spindle. As the vise of this milling attachment tilts and is graduated in degrees, taper reamers can easily be fluted with it. 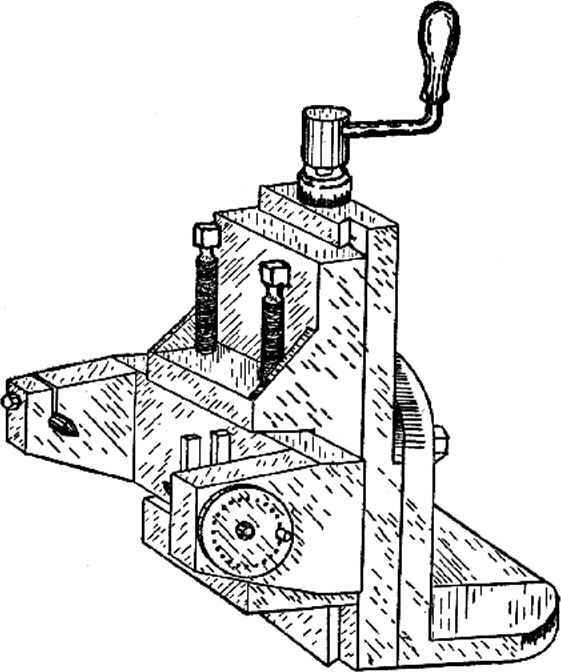 A small square-type machine vise, such as those put out under the Yankee trademark by North Bros, of Philadelphia, can be held in the clamp-type vise of this milling attachment and small parts can be held in this vise. Indexing attachment for South Bend type milling attachment for lathe —so that taper or straight reamers may be fluted with a milling ctitter on a mandrel in the lathe spindle. cter, so that it will be stiff enough to carry milling cutters on one end. A small pulley is used on the motor shaft and a large one on theulive spindle, of the proper size to give the correct speed to the milling cutter used. This attachment is clamped in the vise of the regular milling attachment and as this vise has an elevating screw, a reamer blank held in the lathe chuck can be fluted with this attachment without removing the blank from the lathe chuck, then after being fluted an electric grinding attachment may be mounted on the lathe in place of the milling attachment and the reamer can be ground. Another lathe attachment that is a necessity for tool making is an electric tool post grinder. As this is a precision tool and works to close limits it pays to have a first-class one. About the best commercial model will be found in the Dumore line t)f grinders, made by the Dumore Company, of Racine, Wisconsin. These grinders are made in a number of different sizes to fit various size lathes and are built in a wide price range. A grinder is a necessity to keep the lathe centers in proper condition and these centers, to be accurate, must be ground while in the live spindle of the lathe. Reamers can be ground in the lathe with this tool post grinder and taps can be resharpened with it. A good tool post grinder is also an excellent tool to remove a small amount of metal from the outside of a rifle barrel, either to lighten the weight of the barrel, to change its contour slightly or to smooth up the military-type barrel for refinishing. The grinder leaves no scratches on the surface of the barrel, so that all that is required after grinding the barrel is the fine polishing of it. Grinding the barrel is not nearly so liable to cause it to warp as machining it with a lathe tool bit, because the grinding wheel exerts an almost negligible amount of pressure against the barrel while a cutting bit exerts quite a bit of pressure. Needless to say, the vees, or sliding ways on the top of the lathe bed, should be well protected from the grinding wheel particles when using a grinder upon the lathe. These vees should be well washed with kerosene after using the grinder and should then be reoiled. Home-made electric tool post grinder for lathe. must be stiff enough to be vibration proof. An iron casting of simple design will best accomplish this. This casting should be as wide as the top of the compound rest of the lathe. A flat portion thick or a trifle less, about as long as the compound rest, with a heavier cylindrical portion large enough to bore out to carry the spindle bearings, extending across one end. This heavier section should be bored out for the spindle and its bearings, at the same height above the top of the compound rest as the height of the lathe centers above the rest. These spindle bearings must be protected with dust-tight caps on the outer sides and a hole can be bored in the casting between the two bearings and threaded for a plug, so that lubricating oil can be introduced between the bearings in the hollow portion of the casting. The motor is mounted on the flat tail-portion of the casting and before boring out for the spindle bearings, the casting should be surfaced 011 the bottom. It can be clamped to the tool post slot of the compound rest by a bolt, or two bolts through the flat part of the casting engaging nuts in the tee slot of the rest. 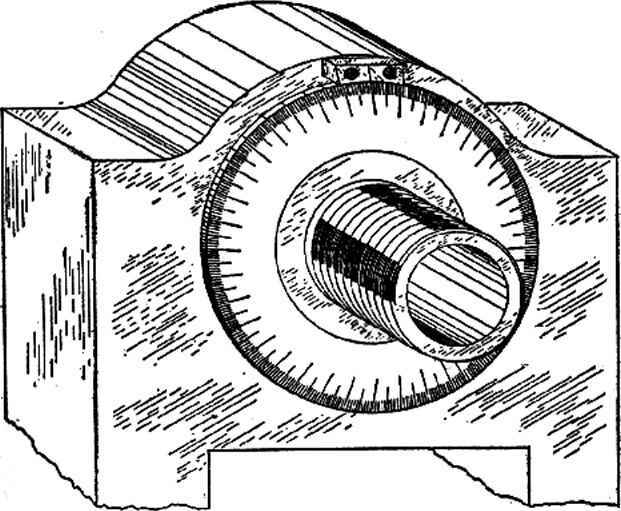 The grinder, whether purchased or built in the shop, should be provided with a diamond dresser to shape the wheel, as desired for the work in hand, and to true up the wheel. A wheel must always be trued up when placed upon the spindle, or the wheel will leave chatter marks upon the work and also may burst with disastrous results to the operator. For reamer and tap grinding, a thin fingcr-typc rest must be provided to support the reamer teeth at the proper height for grinding. This must be adjustable in height so that the correct height may be made for different size reamers, as the tooth is ground in a different position when making a reamer than when sharpening it. If the reamer is ground on two centers, as is done when it is being resharpened, a coil-spring of the pull-type is fastened to a face plate stud by one end and to the dog on the reamer shank at the other end, so that the reamer is held down against the finger supporting the tooth. In resharpening, reamers are ground on the face of the tooth with a cup wheel and not on top of the tooth, which would reduce their diameter. Taps are ground in the same manner for sharpening, as are formed-type milling cutters. Another lathe attachment, which is sometimes almost a necessity, is a dial gauge indicator. This mounts in the tool post as a regular tool holder does and carries a pointer with two ball tips, one of which touches the work held in the chuck and the other bears against the plunger of a dial gauge whose face is divided into thousandths of an inch, which on the dial appear about apart. With this tool, work can be centered in the chuck either by its outside or its internal diameter, so that it runs dead-true. This is very handy in chucking a barrel, to cut it off one or more threads, to set it back in the receiver and is equally valuable for chucking other finished work, to do additional machining upon it. This tool may also be used in the milling machine to equal advantage in cutting tapers or flat surfaces. The L. S. Starrett Co., of Athol, Mass. and The Brown & Sharpe Mfg. Co., of Providence, Rhode Island, both make this type tool. The milling machine is a great asset to the gunsmith in making parts, complete actions, integral sight bases on barrels, barrel ribs, extractor cuts, tools and, according to some gunsmiths, in rifling barrels. This operation however, requires a universal milling machine of fairly large size and these run into real money. If the gunsmith does not wish to buy a universal miller, but still desires a milling machine of wider scope than the plain type miller, the VanNorman Machine Co., of Springfield, Mass. 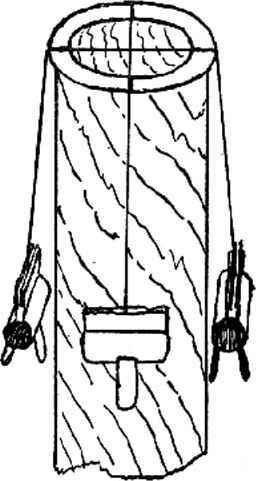 make a miller called the VanNorman Duplex which has a universal head that can be swung into any position, from vertical to horizontal, so that cuts can be taken at different angles without changing the position of the work in the vise or without a lot of expensive fixtures to hold the work in various positions. These milling machines are made in various sizes, so that the size of machine to fit the type of work can be chosen. deletion tool in producing duplicate parts with formed milling cutters, yet it is almost a necessity to the custom gunsmith, saving as it does hours of hand work and at the same time producing a more accurate surface. With it, with the aid of standard cutters and index heads, reamers of all sizes and shapes can be grooved, as well as special cutters to use in the milling machine itself for cutting dovetail sight slots, etc. However, most of the cuts upon gun parts can be accomplished with standard cutters which are supplied in a wide range by cutter manufacturers. Not many fixtures are required for the milling machine, the two principal ones being a vise to hold the work in machining small parts and a set of index centers for holding reamer and tap blanks to be grooved. Bar-rels can be clamped directly onto the table of the milling machine, with simple clamps, for machining ribs and sight bases. In some operations a circular milling attachment is desirable, but these are expensive and often there is not enough work of this type to justify them. These are usually hand operated and consist of a stationary base bolted to the table of the miller, upon which is mounted a circular top equipped with slots upon which a vise or angle plate can be bolted. This top is fitted with a worm gear and worm turned by a hand wheel, so that work can be turned in a circle while being milled. A drill press is, of course, a necessity in the gun shop and today a very wide range of types is available. A heavy drill press is not necessary in the gun shop and usually one with a capacity of half-inch holes is sufficiently large, as most of the drilling required is sight mounting or for action pins, screws and sling swivels. Tool making will sometimes require larger holes than half-inch, but not very often, and these can be drilled in the lathe or taken to a jobbing shop cheaper than the larger drill press of required accuracy can be purchased with its greater power requirements. Accuracy is the essential requirement in a drill press for the gunsmith and the new, so-called home shop line of drill presses, such as Atlas, Driver, Duro, Delta, etc., with their annular ball-bearing spindles answer this requirement admirably. The highest grade Jacobs chuck should be obtained with the drill. This is the one called the Jacobs Super chuck, which takes drills from the smallest to half-inch. Unless only high-speed steel drills are to be used, buy your drill with a low-speed attachment or it will be too high speed for carbon steel drills. Either the bench-type or the floor-type drill may be chosen, personally I prefer the floor-type, because it is sometimes desirable to drill a hole in the ^nd of a piece too long for the bench-type drill. Twist drills may be obtained in two types; carbon-steel and high-speed steel, and in four size ranges; the wire gauge, the alphabetical, the fractional inch and the millimeter sizes. The first two size ranges cover small sizes only but the last two go on up through the large sizes. In smaller sizes, the four size ranges enable you to obtain drills only a very few thousandths of an inch apart, which is a great advantage in drilling holes that arc afterward to be reamed, as it speeds up the work, lessens wear on reamers and gives a better finish to the hole. Another type of twist drill besides the common two-groove type, is the three and four-groove type, which are more properly reamers than drills, as they are used only for enlarging drilled or cored holes, not for drilling holes in solid stock. They are more properly machine reamers, except that they will remove far more stock than can be handled by a machine reamer, due to their deeper grooves. They leave a very good finish in the hole and can be supplied with pilots, but are only supplied in fractional inch sizes from J4" up in size. In connection with drills there is still another type to be mentioned, which is the combination drill and countersink. This is used to cut centers in pieces to be machined on centers in the lathe and is also used to locate holes to be drilled from a center-punch mark. These drills consist of a large straight body tapering on a sixty degree included angle to a small point, which is made like an ordinary twist drill. This point has a short straight body of its own and is sharpened like an ordinary twist drill, the two grooves of which lose their helix when they meet the taper of the larger body which forms the countersink, and run up the taper of this in straight grooves, giving it a cutting edge. These combination drill and countersinks are supplied either double-ended with a straight body, to be used in a drill chuck or are supplied in a single-end type with a taper shank. The double-end type arc least expensive and more economical, but the taper-shank type is usually a little more accurate. High-speed steel drills usually do not pay in the gun shop, as they are much more expensive than the carbon-steel types; more drills are broken than are worn out and high-speed steel drills break about as easily as carbon-steel drills. There is, however, an exception to this statement that high-speed drills do not pay in the gun shop, and that is in the sizes used for drilling holes to mount receiver sights and telescope sight base blocks. 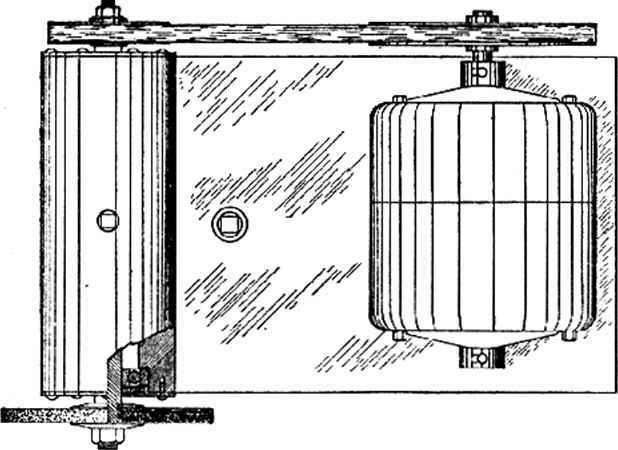 It is often necessary to mount these two items on hardened receivers, and while it is always necessary to soften these receivers at the point at which they are to be drilled, it is not always easy to soften them enough at this point to be easily drilled with a carbon-steel drill, without extending the softening process farther than you wish it to reach. In this case, a highspeed steel drill will easily drill through steel that is still too hard to be drilled readily with a carbon-steel drill, thus making it unnecessary to soften the receiver so completely at this point that the heat used extends farther than you wish. 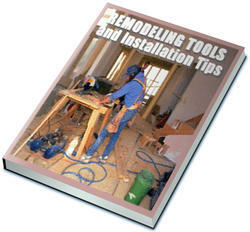 A tap will cut threads in steel that is too hard to be drilled readily with a carbon-steel drill. An important tool in the gun shop is the tool grinder, and we can again thank the home workshop for the development of annular ball-bearing grinders at a reasonable price. A one-third or one-half horse power electric grinder is sufficient in size and these can be purchased at prices ranging from about eighteen dollars upward, equipped with tool rests and two grinding wheels. A good investment in connection with the grinder is a disc grinding attachment. This can be purchased with some makes of grinders, but can always be made in the shop if necessary. It is simply a metal disc of seven or eight inches diameter, with a thickened hub, threaded to screw onto one end of the grinder spindle. It must run true as to both face and edge, and discs of either sandpaper or carborundum cloth are cemented onto its outer face with a quick-setting cement. These discs are used, in connection with an enlarged tool rest across the face of the disc, to surface flat metal parts, thinning them down to the point of final hard fitting by hand and at the same time giving them a good finish. For this reason, the work rest should be solid and at exact right-angles to the face of the disc, or should be capable of angular adjustment to the face of the disc. This disc is also useful for finishing the edges of recoil pads fitted to gun stocks. Sandpaper is used on the disc for this purpose. Cloth or canvas buffers can be used on a grinder spindle for polishing metal parts such as gun barrels and receivers. For this purpose, emery cake is applied to the revolving buffer until the surface of the buff is impregnated with it. This cake can be purchased in various grades from coarse to fine. One of the most important attachments for the grinder, which is often neglected in the small shop, is a drill sharpening attachment. Remember that the man never lived who can sharpen a twist drill accurately by the free-hand method, and the smaller the drill the harder it is to sharpen. A dull or poorly ground drill will not drill an accurate hole, and accurate holes are important in gun work. A properly sharpened drill is not so liable to break, and as broken or very dull drills will not drill holes the salvage in twist drills soon pays for a moderate-priced drill sharpening attachment, as drills are used up to the limit of their life instead of being thrown away and replaced by new ones. These drill sharpening attachments cost from about twelve to twenty-five dollars and the Atlas, a notably good one selling at §21.75, is thoroughly modern in design. What kind of firearm parts can you make with a lathe? How to make mini tailstock lathe plans? How Its Made protractor in the lathe?